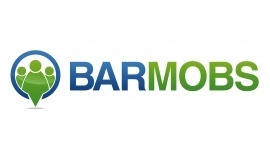 BarMobs (barmobs.com) is a web and mobile app that is launching soon in NYC (and expanding to other cities soon after) that selects one bar per night to 'mob'. BarMobs will pre-negotiate the best deals on food and drinks in the city for the 'mob'. Party-goers can simply check the web or mobile app, find out which bar is being 'mobbed', and show up or pre-buy thier first drink to reserve their spot. No more going bar to bar, drinking expensive drinks, trying to find a good party. BarMobs is a simply and easy way to find a great party, meet cool people, at an affordable price. Our landing page is up and we are collecting emails for our launch.